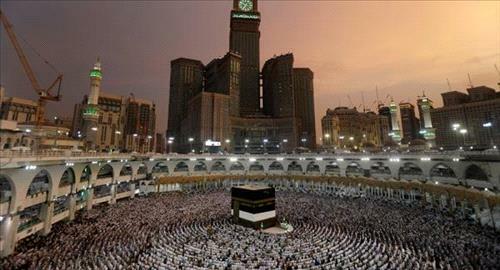 AMMONNEWS - The total tally of pilgrims, from inside and outside the Kingdom arrived in Makkah, by 11:30 on the evening of Saturday August 18, 2018 stood at 1,892,826, according to the General Authority for Statistics. In addition, the authority added that the final total gross number of pilgrims, will be announced on the evening of Arafat Day, the eve of blessed Eid Al-Adh-ha. Major General Al-Yahya has confirmed, during a press conference held in Jeddah few days ago, the completion of pilgrims' arrival through all the Kingdom's air, land and sea ports, commending the keenness of the Custodian of the Two Holy Mosques King Salman bin Abdulaziz Al Saud and Prince Mohammed bin Salman bin Abdulaziz, Crown Prince, Vice President of the Council of Ministers and Minister of Defense to facilitate the entry procedures of pilgrims from different ports. He pointed out that the Passports Directorate General under the direct supervision and follow-up by Prince Abdulaziz bin Saud bin Naif bin Abdulaziz, Minister of Interior and President of Supreme Hajj Committee assigned during the arrival plan qualified human cadres supported by advanced technical equipment to ensure the speed and accuracy of the completion of the arrival procedures for each pilgrim in a record time.